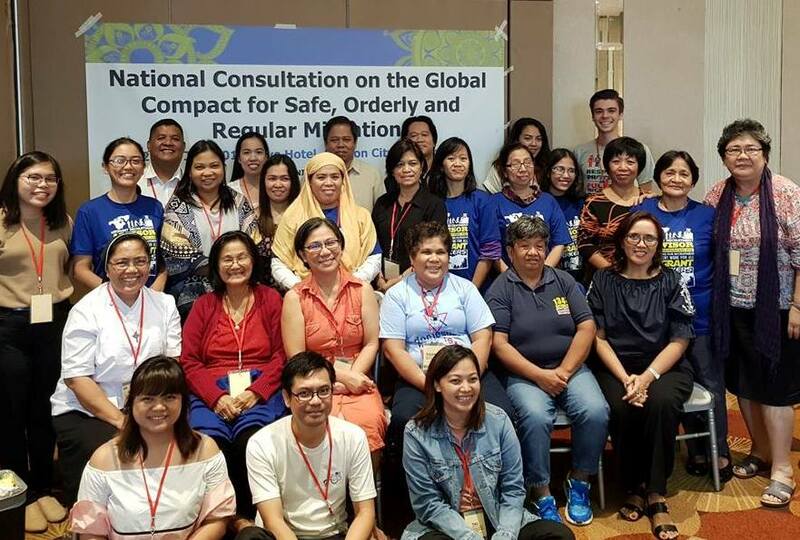 Migrant Forum in Asia (MFA) partnered with the Center for Migrant Advocacy (CMA) to organize the National Consultation on the Global Compact for Safe, Orderly and Regular Migration in Quezon City, Philippines on 27-27 July 2018. 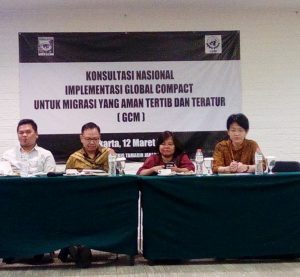 Building on the years of civil society engaging in the discourse of international migration, development, and human rights, Migrant Forum in Asia (MFA) and its network continues to engage on the Global Compact for Safe, Orderly and Regular Migration (GCM). The GCM is set out to have a pragmatic global governance framework to address large movements of migrants and refugees amongst stakeholders and actors. Going through the consultation phase and stocktaking phase with different stakeholders and actors in different levels, civil society feels the need to have continuous engagement and advocacy within and around the GCM as it is interlinked to other processes such as the 2030 Agenda for Sustainable Development. In doing this, MFA has been following the discussions of Member States in the GCM intergovernmental negotiations whilst ensuring accountability and consistency at the national level through its members and partners. Following up on the regional and sub-regional civil society consultations, it is crucial for the discourse to trickle down to the national and local level. In doing this, those who are working on the ground continue to be informed and be engage in the process, giving them the space to relay the realities they see, recommend on what is currently being done and can be done more, as well as strategize to hold all stakeholders and actors accountable at the national and local level. The Philippine consultation objectives include: 1) Have greater awareness and engagement on GCM among migrants, trade unions, civil society organizations, faith-based groups, lawyers, media, diaspora, private sector and government, and; 2) To have strategic collaboration with the different stakeholders and actors in addressing migration issues with a human rights-based approach within and beyond the GCM, 2030 Agenda for Sustainable Development, as well as national and sub-regional processes. 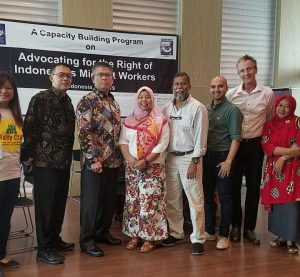 The meeting was attended by 23 participants coming from the different civil society organizations including trade unions, members of the academe and local government units in the Philippines. Representatives from various government ministries were requested to provide updates on the GCM and outcome of the Philippine Government’s engagement. The program focused on the current status of the Global Compact and the general atmosphere during the last round of the Intergovernmental Negotiations Meeting that was held on 9-13 July 2018. Afterwards, issues and concerns with regards to achieving the SDGs in the Philippine context were discussed. These were previously identified in a different consultation. Participants of the consultation also looked beyond the Global Compact and how other mechanisms, such as the 2030 Sustainable Development Goals (SDGs), can be linked into the Global Compact.